With digitally printed paper being produced by small boutique wallpaper companies, gone are the days of wallpaper being something only found in your grandmothers bedroom. Wallpaper is back and it is better and bolder than ever!!! What's even better is with all the new wallpaper options available to todays consumer, you never have to be stuck with just one style. Thanks to options such as vinyl, strippable or peelable wallpaper, its easier than ever to mix things up when you get bit by the design bug. 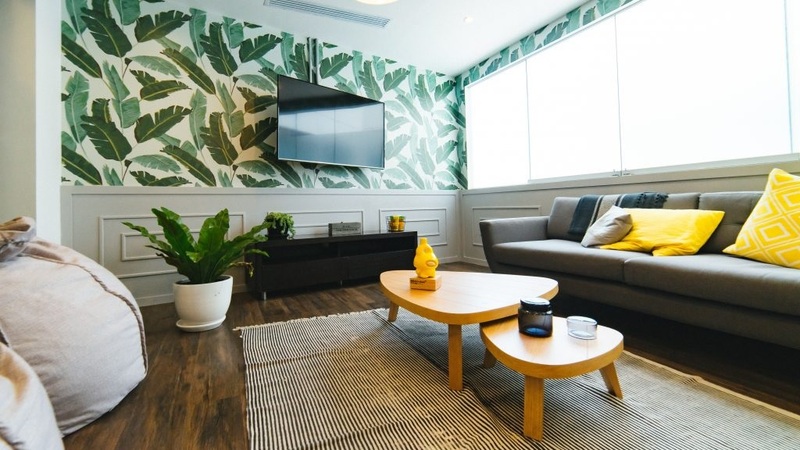 Some of our favorite wallpaper trends right now include a marble pattern on one wall for an elegant and classy focal point, or a wallpaper with a metallic sheen or pattern to it to really open up a room. If a patterned wall isn't your thing, consider using wallpaper as an accent to a cubby or on the back of a bookshelf.